As I’ve stated in previous posts, I’ve been pretty excited about Pladask Elektrisk’s Gjengangar. This is a great sounding delay from a new pedal business based out of Norway. They took the delay in a different direction by adding gated control, feedback loop and fx send/receive. This pedal was instantly musical for me.. and since I had to give this one up, I actually bought one for myself. That’s how much I enjoyed playing this pedal!!! I would like to thank Knut of Pladask Elektrisk for sending this pedal my way. Please take a moment to check out their website and to follow them on Facebook! They have new things cooking. It’s definitely worth for you to stay in touch with this biz. 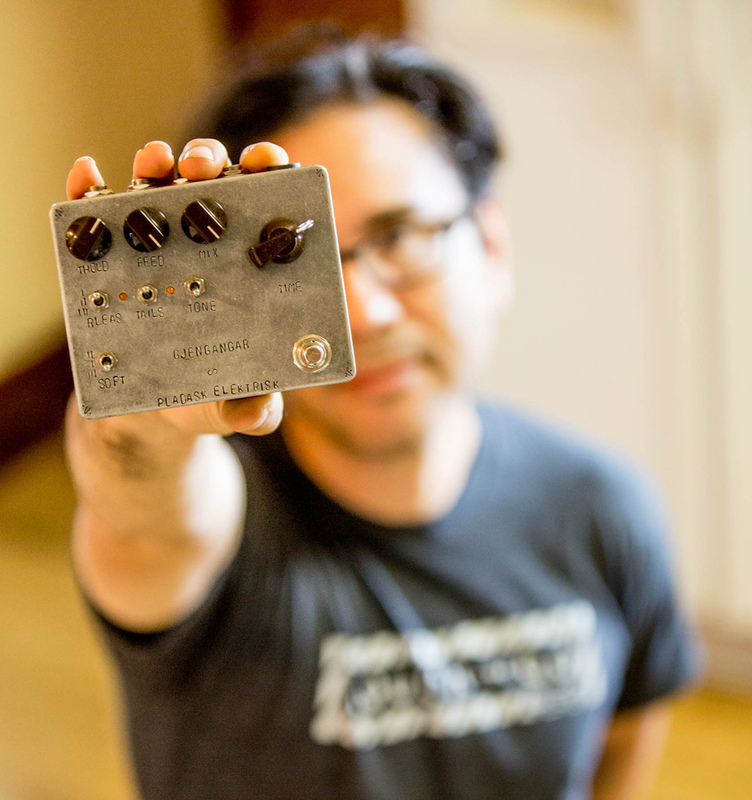 I knew this pedal would attract a lot of attention and accumulate a lot of entries. I was totally right. I selected a random winner, and that winner is Gerhard V of Minneapolis, MN. Congrats Gerhard.. you’re going to love this delay. If you could, please send me a photo of yourself with the prize! Love to post the follow up winner posts when I can! I have a bunch more give aways on deck, so be sure to subscribe to our mailing list to not miss out on these! Sweet Deal on the MXR M169 Carbon Copy at Amazon! !